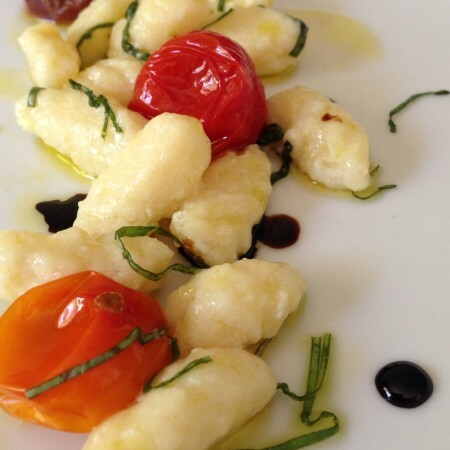 I have never met anybody who doesn’t love this gnocchi. 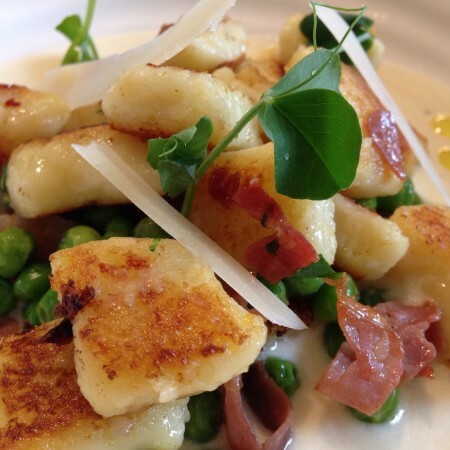 Prairie Bella’s potato gnocchi is delicious no matter what you do but is exceptional when it is fried in a little olive oil and butter to give it a nice little crust. A cream sauce and some fresh Parmesan cheese is a classic combination but you don’t have to stop there! This dish adds the saltiness of prosciutto, the freshness of peas and lemon and, what the heck, the heartiness of truffle oil. Any of these ingredients are optional. 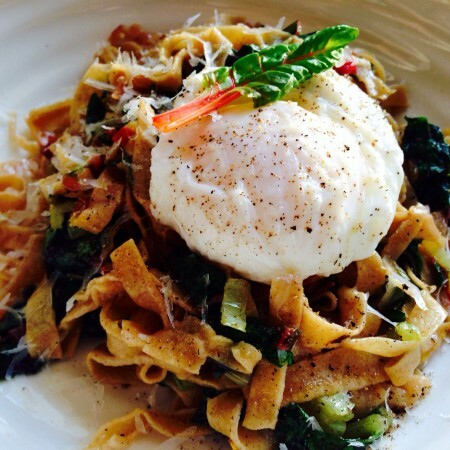 I garnished this dish with some fresh pea shoots that I got from Wally’s Market garden. In a large, non-stick pan saute the prosciutto in a little olive oil. Add the peas and remove from the pan. In the same pan heat 1 tbsp of olive oil and 1 tbsp butter. Bring a large pot of salted water to boil and drop the gnocchi in. Cook until they float and gently remove them with a slotted spoon, be sure to drain away any excess water. When the butter and oil start to bubble, gently add the gnocchi and toss gently. 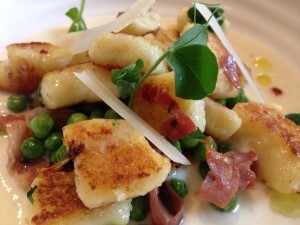 You want to cook the gnocchi in small batches so that you do not overload the pan. Let the gnocchi cook until they are nicely browned, then turn them to brown the other side. Meanwhile, gently reheat the cream sauce. Add the peas and prosciutto to the gnocchi. Zest the lemon over the mixture and toss lightly. Pour the sauce in a bowl and spoon in the gnocchi. Garnish with Parmesan and pea shoots. Enjoy!